Matthew is the firm’s Legislative Assistant and handles day-to-day bill tracking and monitoring and assists the COO with special projects. 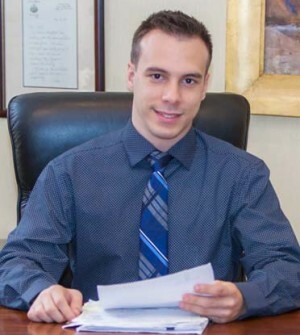 Matt monitors legislation, regulations and media for all the Firm’s clients spanning a wide variety of issue areas including, but not limited to: health care, higher education, tourism, automotive and transportation, insurance, racing and gaming, and energy. Through his experience, Matt is well versed on a wide array of policy issues and has a thorough understanding of the legislative and budget processes. Matt regularly observes and reports on New York’s legislative process by covering legislative sessions, committee meetings, public hearings and budget hearings. Matt authors a weekly Legislative Update and provides bill and committee reports to the Firm’s government affairs clients. Matt has volunteered for Easter Seals NY and the South End Café.